The $8,000 First Time Home Buyer Tax Credit is available to a person who has not, in the previous 36 months, used as a principal residence any property that they own. There are a number of conditions for the $8,000 Tax Credit that can be found in the FAQ on this page. In addition, there is a new $6,500 Tax Credit available to home buyers who have previously owned a home for five consecutive years in the preceeding eight years prior to the new home purchase. For home purchases made in 2009, a first time home buyer can claim the tax credit on their 2008 tax returns by filing an amendment Form 5405. You can also claim the credit on your 2009 taxes. For purchases made between January 1, 2009 and April 30, 2010 (under contract by April 30th and closed by June 30, 2010), a first time home buyer can claim the credit on either their 2009 tax return using the above amendment form, or on their 2010 taxes. Of course, I strongly recommend that you speak with a tax professional to ensure that you correctly apply the regulations regarding the First Time Home Buyer Tax Credit. If you have a close relative who would be willing to lend you the money before closing, it is possible to use the $8,000 tax credit as a down payment or towards closing costs on y0ur new home. 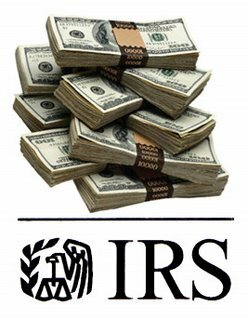 You would need to have your relative provide the money to you in the form of an acceptable gift before closing and then you would pay back the money after you receive the tax credit from the IRS. This technique will only work in very specific situations, but it is a realistic way to utilize the $8,000 tax credit for buying a home. I would again recommend consulting a tax professional in addition to a mortgage lender and possibly a real estate attorney if your wish to try this technique. I make this as a suggestion not to circumvent any rules or regulations, but to work within the system to better utilize your tax credit. The $8,000 First Time Home Buyer Tax Credit can be a very beneficial incentive for you to take advantage of homeownership. Contact me is you have any further questions!